What is a Schengen Visa and how do they work? The Schengen Area is an area comprising 26 European states that have officially abolished passport and all other types of border control at their mutual borders. When you are issued a visa through one of these states it allows you access to, not only the country you applied through, but all 26 of the Schengen states. When you are travelling to more than one of the Schengen countries, you would apply through the country of your longest stay. If you are staying an equal amount of time in each country, you would then apply through the country of first entry. The only exception this rule is that, when you are travelling to one Schengen country for business purposes and the other tourist, you would apply through the country you are doing business in. Which schengen visa should we apply for if we are travelling through one or more of the schengen states? The schengen state that your are spending the most time in will be the one you apply for. If you are are travelling to one Schengen country and another for tourist as part of the same trip, you must apply through the country you are doing business in. If your are spending an equal amount of time in each country you will apply through the country of first entry. What is the difference between a single and multiple entry visa and how long will my visa be valid for? A single entry visa is used to enter a country once. 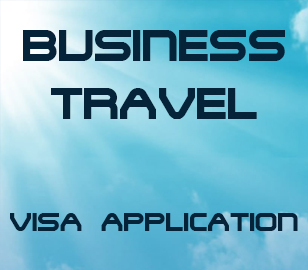 These visa are normally valid for a shorter period of time and allow you to enter the country once and depart once. 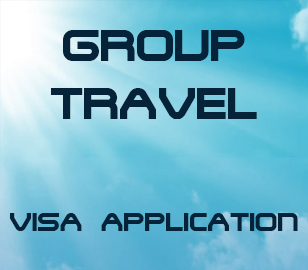 If you are planning several trips to the same country in quick succession it is better to apply for a multiple entry visas. A multiple entry visa allows you to enter a country more than once. The granting of a multiple entry visa is entirely at the discretion of the issuing authority and may carry additional fees. 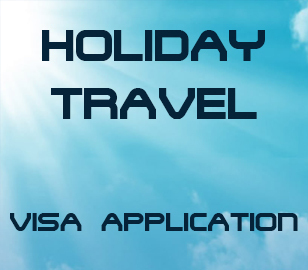 How long a visa is valid is also at the discretion of the issuing authority so it is vitally important that your application form and supporting documentation reflects accurate travel dates. What is a Transit visa and how do I know if I need one? A transit visa is often required when you are passing through one country on route to another. The transit rules are different for all countries so it is best to confirm this before booking your trip. A transit visa allows you to enter a country while waiting to catch a connecting flight to your final destination. Do I really need to provide my bank statements even if my employer is paying for my trip? Many countries require that all applicants supply three months original bank statements when applying for a visa. If this is a requirement of the Issuing Authority these must be provided even if you are not covering the costs of your trip. This applies to both business and tourist visas. The issuing Authorities use bank statements, not only to see if there is enough money to cover the costs of your trip, but also to verify that you have an active bank account and receive a regular income in this country. Will my visa be guaranteed? The issuing of a visa is entirely at the discretion of the Issuing Authority. Our Consultants will quality check your documentation and can also make suggestions on how to strengthen your application but the final decision is completely beyond our control. Visa fees are not refundable should a visa be refused. Why do I need to provide an employment letter if I am travelling as a tourist? An employment letter act as confirmation of the information you are proving to the issuing authority. If you are travelling for business, this letter must confirm you are employed, that nature of your trip and confirm who will be covering the costs of your trip. If travelling as a tourist, this letter must confirm that you are permanently employed, that your leave has been approved and when you are expected to resume your duties. Proof of employment represents a strong incentive to return to your country of residence. If the traveller is a student, they will need to obtain a letter from their educational institution confirming you are enrolled and that you will be returning. If you are self employed you will need to provide a letter from your auditor as well as a copy of the company registration document. Does a Dubai visa allow me entry into Abu Dhabi? Dubai and Abu Dhabi are both part of the UAE. A UAE visa will allow you entry into both Dubai and Abu Dhabi. What is Travel Insurance and where do I get this? Travel insurance is insurance that is intended to cover medical expenses, trip cancellation, lost luggage, flight accident and other losses incurred while travelling, either internationally or domestically. It is always recommended to take out travel insurance when you are travelling. You may already have a travel insurance benefit available to you through your medical aid. If not, VPU can assist you to obtain travel insurance through Hollard. It is important to ensure that the travel insurance you have in place complies to the requirements of the issuing authority especially when travelling to a Schengen Country. Can I get a longer visa for the UK? The UK High Commission has got various visa options available. They have a six month, two year, five year and ten year visa option. Although the visa may be valid for longer, you are will still only be allowed to stay in the UK for six months per one year cycle. The longer the duration applied for, the more expensive your visa will be so visas with a longer validity are only really recommended for frequent travellers. The granting of a visa is not guaranteed so it is not recommended for first time travellers to apply for an extended visa. Certain countries require that biometric data be captured before a traveller can be issued an entry visa. These countries include the UK, Australia, USA, Nigeria, Schengen countries and various others. If biometrics are required you will need to appear in person. VPU will send a Visa Representative to meet you at the application centre to assist you through the lodgement process. The Schengen countries have a central data base called the VIS (Visa Information System). This system allows the Schengen Countries to share biometric data and the information is kept for a period of three years. If you have applied for a Schengen visa in the last three years and your biometric data has been captured on this system, you may not need to appear in person. It is important to note that not all Schengen countries do still require that applicants appear in person each time they apply. I have a valid USA visa in my old passport – can I still use this? USA visas issued to South African nationals are often valid for 10 years. If you have a valid USA visa in your old passport and have applied for a new passport you are able to travel with both passports. How long will my visa take and when should I start applying? The visa processing times differ from country to country. It is important to ensure that you allow sufficient time for your visa to be processed. The standard processing times for each country are available on our website. When applying for visas for Australia, New Zealand, USA, Canada, UK and Europe, you can start applying up to three months in advance. Many of the African countries require shorter processing times. Our Consultants will be able to advise you on the appropriate time to apply for your visa. It is not recommended to confirm any travel arrangements until your visa has been received. I have a valid visa in my passport but this is going to expire while I am overseas. What can I do? You are not legally allowed to have two valid visas for the same country in your passport at the same time. The best route to follow if you find yourself in this situation is to have the visa that is in your passport cancelled and apply for a new visa. Some countries may also be able to issue a visa that is valid from the day after your previous visa expires until you return. What additional documents are required for minors who are travelling? Will i be guaranteed my visa? No, The issuing of visas is solely at the discretion of the Embassy, they take your submitted documents, travel history and other mitigating factors into consideration before they make their final decision regarding visa applications. How long does my passport have to be valid for? For most of the visa applications, your passport must be valid for 6 months after your date of return to South Africa. How long before i travel must i apply for my visa? All though the average processing time is between 3 and 10 working days, it is highly recommended that you visit our visa requirements section www.visasunlimited.co.za/requirements to see the processing times of the country/visa that you are applying for. Can you renew my passport? Unfortunately not anymore, due to new regulations implemented by the Dept of Home Affairs, All clients applying for new passports MUST apply in person. The dept of home affairs do not renew passports, an application must be made for a new passport. Can you renew/apply for my British Passport? Yes, we absolutely can, on our website are a list if requirements and the application forms, fulfil the requirements and complete the application forms and we will gladly collect the documents from your preferred address. Can I follow the progress of my visa application? Absolutely, with our leading innovative interactive website, once you have registered, You can track your visas applications every move. If my company is covering all the costs do I still need to submit bank statements? 2) To prove you receive a regular income in this country and that the bank account is active. Do I get my documents back? If an embassy/consulate has taken in any original certificates these will be returned to you but supporting documents such as flight itineraries, accommodation and letters are in most cases retained by the issuing authority. If my visa is refused do I get my money back? Visa fees are not refundable should your visa be refused. What is required for minors travelling? 5) Sponsorship letter from the person paying for the trip accompanied by bank statements if bank statements are required for that specific country. What is a ADS visa?